100cm Wide . Simply Amazing and at the top of their game ! 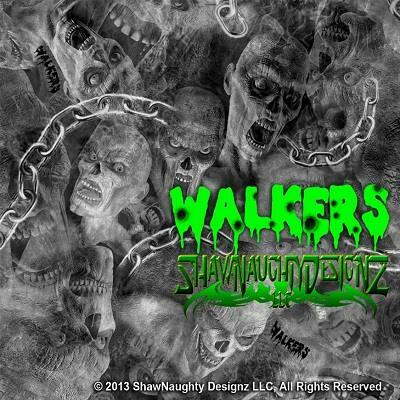 Walkers from Shawnaughty Designz is simply the best Zombie pattern ever produced in Hydrographics. Fantastic contrasting black ink design work on clear allowing for any colour base coat. Sized with gamers and gun enthusiasts in mind, this pattern is set to be a classic and it hasn't even hit our shores yet!